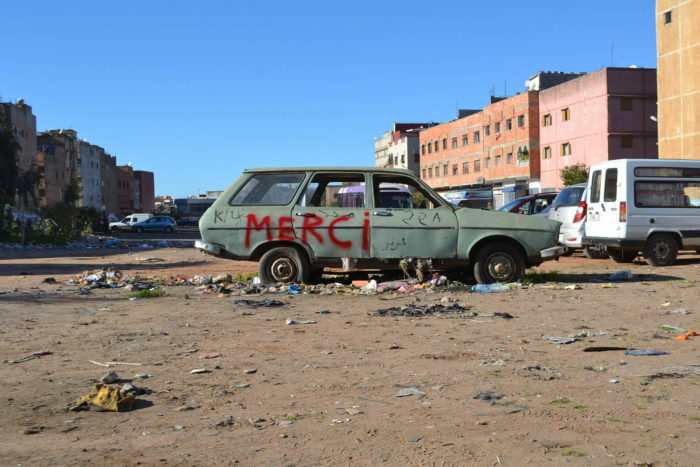 This residency of Mohammed Laouli falls into the frame work of travelling narratives, a regional program of art and research that aims at encouraging interactions between cultural agents in Morocco, Algeria, Egypt, Mauritania and Libya. 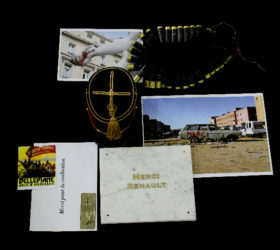 During this residency in Algiers, Mohammed Laouli extends his research on the postcolonial present condition, as well as the ambiguous and complex positions related to this context. Indeed, he is developing a reflection on power relations, still very substantial and violent between France and the Maghreb. For the purpose of weaving the lines of his narratives, Laouli wishes to focus on the architecture of Algiers, and especially its Casbah. The latter that was demolished by France during the colonial period in order to control its inhabitants, is now deemed to be in need of rehabilitation and renovation, by the same country. Traveling narratives is supported by AFAC – The Arab Fund for Arts and Culture, the Goethe-Institut Marokko, the Institut Français du Maroc, the Centre Jacques Berque, and the Ministry of Culture and Communication in Morocco. The program is carried out in partnership with Townhouse, مؤسسة ورق للفنون – WaraQ art foundation and the cultural space Diadie Tabara Camara.